I mentioned yesterday that I hadn’t run through the Prison of Elders, wanting to do it with my friends first. Well that plan kinda changed, I did play with friends yesterday, but it was more to finish the story content with them on my Hunter. After that was done though, I did run the level 28, matchmade, version of the Prison of Elders. I went with that option for a few reasons, not the least of which is that you have to play that option before the challenge modes are opened up. I also just wanted to get my feet wet before I really dove in, but in the end, I actually think that the level 28 version is pretty damn great. Technically, you’ll be getting better rewards from doing the higher level challenge modes. The higher level ones are how you’ll get the Fallen themed armor and weapons that are light level 42, getting you to the new level cap. But that’s not to say that the matchmade version is worthless. In my short time I was able to get two legendary engrams, in addition to two legendary Queen’s Wrath weapons, as well as a new Icebreaker. And that’s just the gear – I got another Dark Below ship, as well as 10 Strange Coins and a couple Motes of Light and Glimmer drops. So from a pure loot grinding standpoint, going in with a treasure key is pretty worthwhile, regardless of what you’re looking for. The matchmade version is also a lot easier to manage – you won’t need to try to get a fireteam together to load it up; plus joining in progress is possible, so you might get dropped in right at the end, speeding up your looting. It’s a bit less complicated, with modifiers only showing up in Rounds 2,3, and 4; as do the Critical Objectives. That doesn’t necessarily mean it’s easy though – by the later rounds, you’ll be dealing with a lot of majors and ultras, and depending on the modifier you could be limited a bit. For example, I played one round last night – against Vex enemies – with the dampener modifier (majorly extended cooldowns on abilities.) I threw my lightning grenade in the first wave, and didn’t get it back until the very end of the round – the only way I was able to Fist of Havoc twice was because of some Orbs of Light on the ground. Granted that might change a bit depending on your intellect/strength/discipline levels, but still – it’s definitely going to impact how you play. That final round with the boss enemy is also somewhat complicated – not for any gameplay reason, just because the added enemies can get overwhelming quickly. It may say level 28, but I really think 30 is probably the low-end to complete it, just because of how many majors and ultras the later rounds have. It’s hard to fully comment on the Prison of Elders, just because there’s still three different leveled activities to go through, but my immediate thoughts are really positive. I really think House of Wolves is the best thing to happen to Destiny since launch; both story and PvE activity-wise. 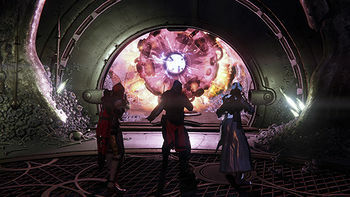 Prison of Elders has plenty of replay value with it, if for no reason other than it’s fun and, at least the lower leveled mode, is faster than raiding. I think with House of Wolves, Bungie may have ensured that Destiny stays in my rotation through the summer. 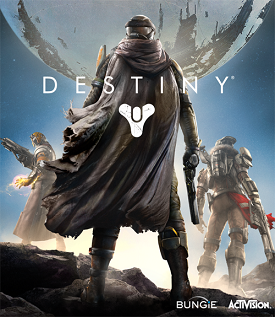 This entry was posted in 2015 Impressions, Destiny House of Wolves Content and tagged Bungie, Destiny, DLC, House of Wolves, Prison of Elders, Video Games by Dan Fasulo. Bookmark the permalink.